Foot Trails is a family business with ambition. We are one of England’s best loved regional walking travel companies. Our focus is on delighting our guests, who travel to walk with us from around the globe, and on the way we have been proud to win national and regional awards with the support and efforts of a fantastic team. 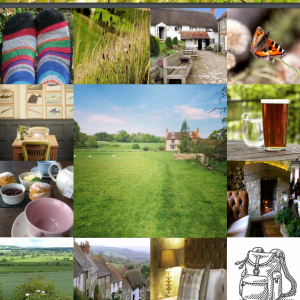 Founded in 2002 by Alison and David Howell, Foot Trails’ passion is to help our guests enjoy a walking trip of a lifetime, by being able to live life at 2 mph. We base life at our company on the values of respect, heart, simplicity, inspiration and service. Life in a small growing company can be busy, and will sometimes challenge you, so if you are the sort of person that can roll up your sleeves and muck in, but takes professionalism and excellence seriously and wants to grow as a person, we could be the company for you. If you are the sort of person who doesn’t enjoy change and likes things to stay as they are, and would be shocked by a request to help out with the dusting, we probably aren’t the right company for you. Our team is currently full and we do not have any vacancies. This vacancy has now been successfully filled.